From September 14-16 some of the premier businesses in the world came together at the UN Headquarters in NYC to try to improve their corporate social responsibility. How? By using their human capital. Leading organizations including Ritz-Carlton, UPS, Google, etc. 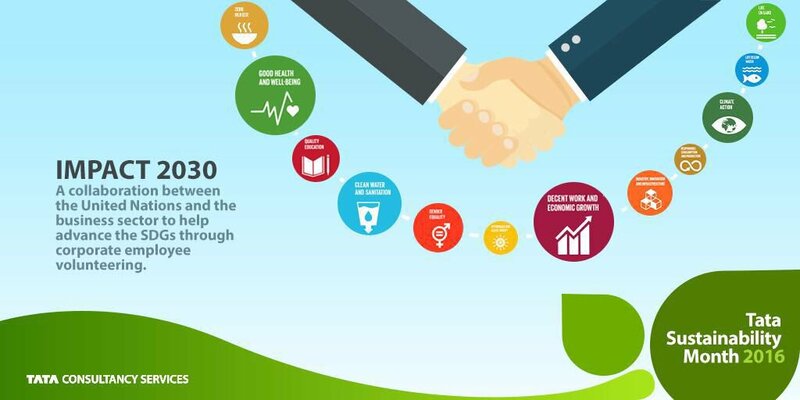 founded the initiative Impact 2030, which aims to combine corporate volunteering efforts to help achieve the UN’s Sustainable Development Goals (SDGs) by 2030. The Summit that took place in NY was invite-only and consisted of the founding partners, 23 collaborating partners and 13 founding stakeholders. The conference was separated in two parts – panel speeches and focused working sessions (do develop plans) at Partners’ offices across Manhattan. Impact 2030 is an extremely exciting concept as it is currently the only business-led effort to not only combine corporate volunteering across the private sector, but also collaborate with the United Nations (the largest international organization) to do so. It demonstrates firms following the Iron Law of Responsibility to ensure long-term success and using a distant goal (to be achieved by 2030) to do so. One thing I’m worried about is whether member enterprises will continue collaborating and pursuing the goals of Impact 2030 or will the program dissolve as companies become more concerned with what they can contribute alone to other more pressing issues should they arise. At this point – only time will tell.